Ardell Prof Mega Volume 250 has Neverflat Curl technology that is multi-layered lashes with tapered tips that blend naturally with your lashes for an enhanced 3D effect. These are multi-dimensional lashes that offer maximum lash attraction. Additional Information: Arnold and Sydell Miller founded what is now one of the world's best selling faux lash brands. 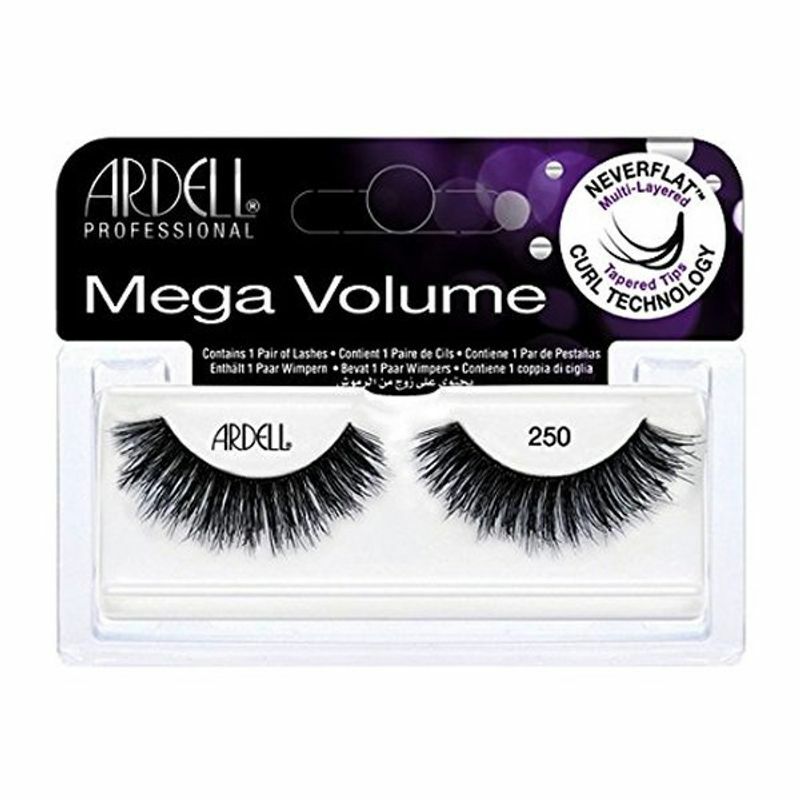 The original ARDELL lashes, Duralash Individuals, were created to add realistic, volume and length to lashes, enhancing but not overpowering natural beauty. Faux lashes by catering not just to women looking to enhance their own beauty, but also to legions of beauty professionals and Hollywood makeup artists. The comfort and affordability of ARDELL lashes makes them a small luxury that elevates beauty to another level.